Busse Custom Knife handles can be made from a wide variety of materials. 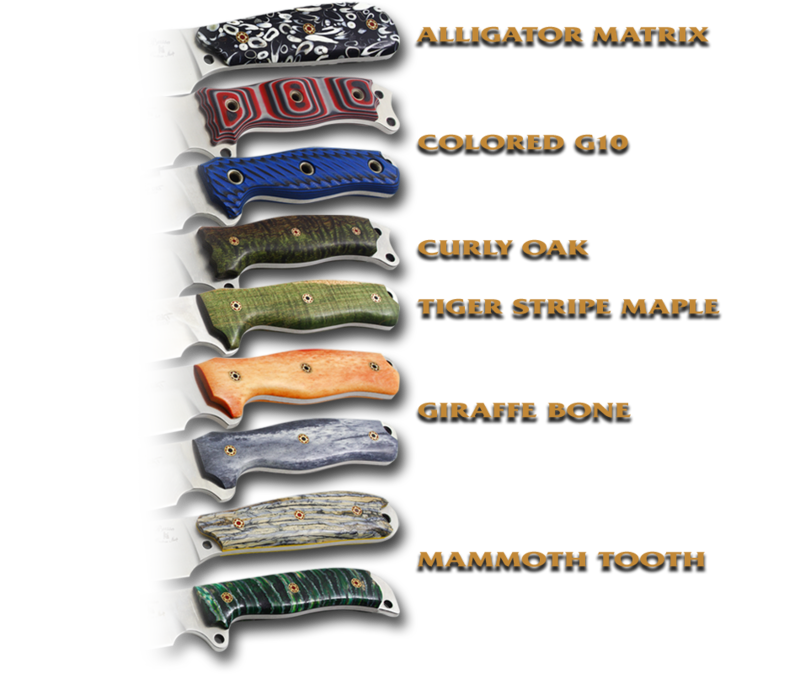 All types of micarta are available, as well as nearly every natural handle material that can be used for knife handles. If it can be used to make knife handles, we've either done it, or are planniing to do it. If you have an idea for a handle material that we haven't listed here, just contact us and we can discuss your options. For possible handle material inquiries, please contact us via the form at the very bottom of this page. A Customer Service representative will contact you as soon as possible. Here are a few sample handle materials from Busse Custom knives.